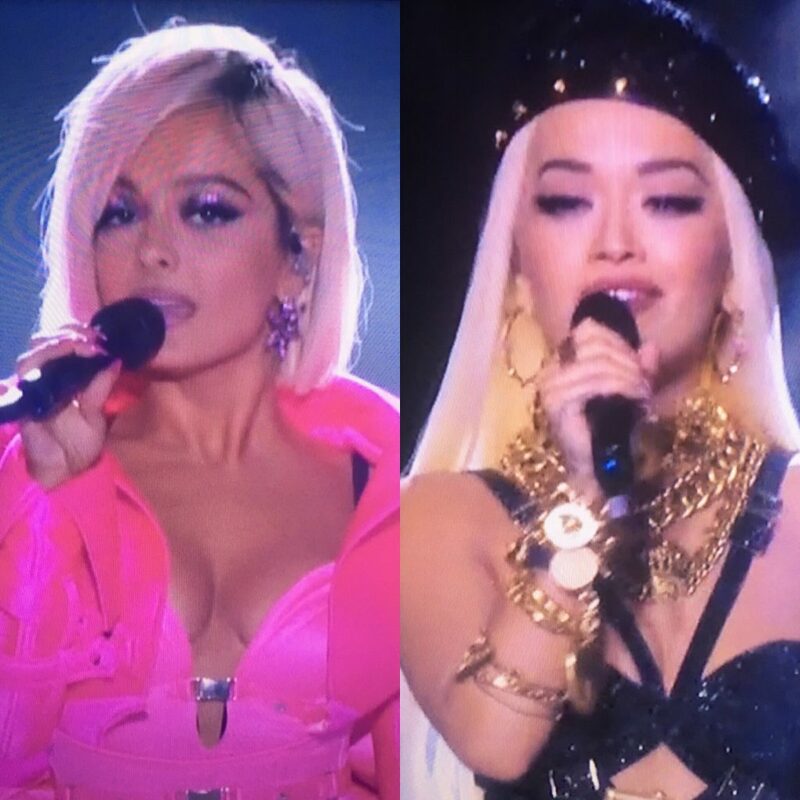 BEBE REXHA & RITA ORA: SEPARATED BY A WEAVE? With matching blonde weaves and heavy eyeliner, Bebe Rexha & Gwen Stefani Rita Ora through viewers for a loop by both allegedly performing at the the Victoria’s Secret Fashion Show on Sunday. Sources say rumors that the two numbers were actually performed by just one of the singers who changed lace front wigs in-between sets are undeniably false. Fun fact: Both Bebe and Rita are of Albanian descent. Find out who is who by watching the performances for yourselves!